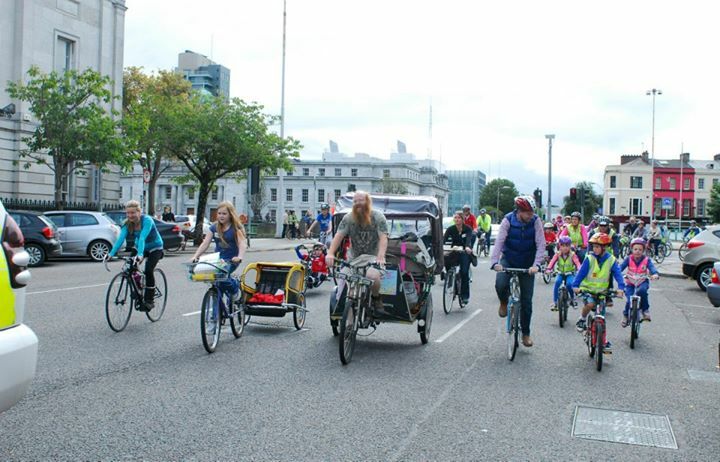 Cork Cycling Festival isn’t your average festival. Embrace the fun that can be had in and around cork with others, on your bicycle, recumbent and unicycles. There are cycles for Beginners, Families, the Curious and Adventourous. Once again its time to revive your high nellies out of the back shed and dust of your tweeds for this jolly good vintage parade around the city. Relieve the golden age and chivalry of the beautiful machine. Vintage wear encouraged but not essential to join the craic of this rollicking ride! We will be stopping at Gallagher’s Bar on MacCurtain Street for Free tea/coffee. Event Sponsored by Gallaghers Bar MacCurtain St. Cycle along the old railway line to Blackrock Castle. Here, a number of interesting and inspiring cycle shorts are shown in the Observatory. Returning afterwards to the Gables bar for complimentary pizza and fingerfood by Luigi Malones. Travel down the Marina by the scenic river Lee to Passage West, complimentary ferry crossing to Great Island, Cobh to see panoramic views of the Lee Harbour. We’ll return to Gables bar for finger food by Luigi Malones. Event Sponsored by The Gables Bar, Cross-Ferry, Luigi Malones. harbour to the National Maritime College of Ireland and the Beaufort Building and get guided tours of the facilities. Find out about the man who gave his name to an era and discover places associated with the period of history which helped shape modern Europe. We’ll finish at Electric bar where we’ll have finger food by Marie Antoinette. Pick our way along the river Lee heading out the Carrigohane Straight and onwards to Blarney village. We’ll stop for complimentary tea/coffee at Blarney Post Office cafe. Join us on our gourmet tour, experience the culinary delights of different restaurants in Cork city. We’ll finish at Gables bar to sample some Longueville cider. Join us for a relaxed cycle up the river Lee to Ballincollig and back. We’ll stop at the market along the way. Event sponsored by Your Cimney Sweep. Take a gentle incline all the way to Carrignavar to the local outdoor swimming pool. Bring your own swim suit/gear and then enjoy a complimentary BBQ. 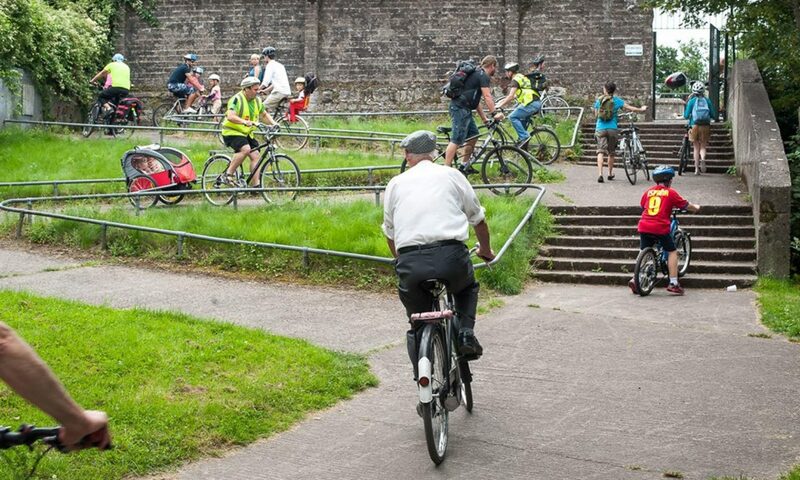 Join us for a cycle through Cork city’s many cycle paths. From the Blackrock Loop to Model Farm Road and returning the Lee Field back into town. Event sponsored by Cork Crafts. Join An Óige for one of their weekly cycles! Chose from a longer or shorter cycle. Gentle cycle via the Atlantic Pond and all its wildlife to Monkstown for complimentary tea/coffee. Cork is a city of culture brimming with many talented artist’s. Come with us on a tour of discovering their work . We’ll finish at Gables bar for finger food by Luigi Malones. One of our more challenging festival cycles. We’ll cycle to Mullinahassig and around through Dripsey with a stop at the Dripsey Garden Centre for a break, where come refreshment can be purchased. We’ll return to Gables bar for the festival finale.